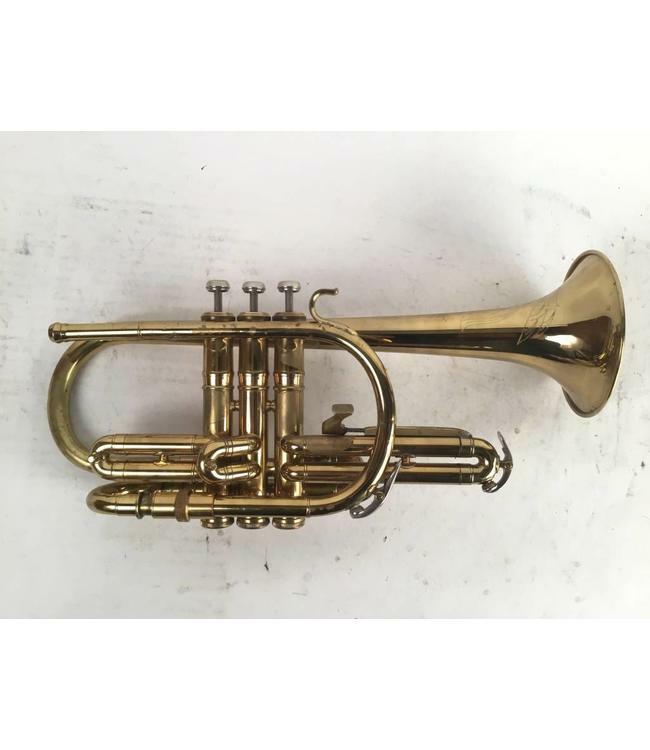 Used Conn model 36 Bb cornet in lacquer. Has a patch on leadpipe and micro tunning on main tunning slide. Overall good / fair condition with dents in back bell bow. Includes case.